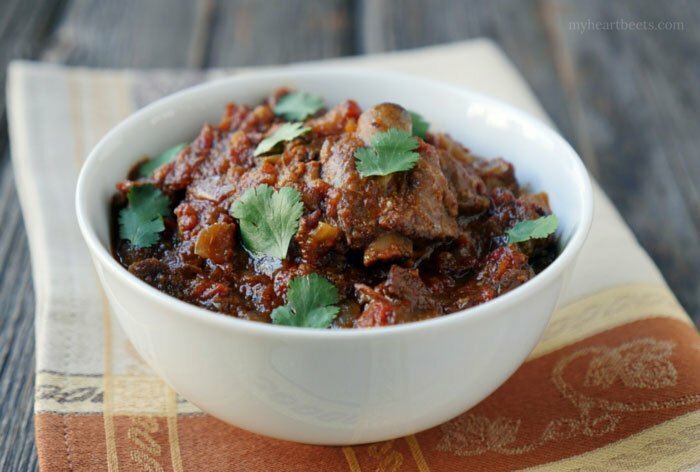 It’s kind of surprising to me that one of my most popular recipes on the blog is my slow cooker goat curry. I honestly had no idea that so many of you eat and enjoy goat meat. I absolutely love it and it really makes me happy to see that you all do too! I make my goat curry all the time and while it’s definitely worth the wait… I’m an impatient girl. I want a big bowl of goat curry that tastes slow cooked… BUT I want it fast. I like my curry… in a hurry. 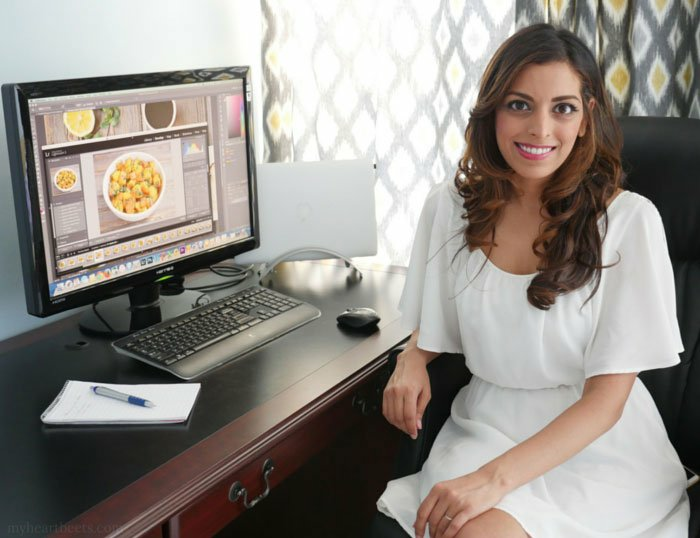 Since I want dinner on the table ASAP, I figure you guys do too – which is why I’m sharing my recipe for goat curry made in an Instant Pot, an electronic pressure cooker. If you don’t have an Instant Pot, I’m sure a regular pressure cooker will work just fine. The reason I love the Instant Pot is because I can saute the aromatics (onion, garlic, ginger, spices) and cook the curry all in one pot. It’s an amazing device that makes clean up a breeze. To make this goat stew even more comforting, I cut some potatoes in half and added them to the pot. I prefer eating this curry over basmati rice or cauli-rice, but sometimes I’ll just eat it by itself. It’s one of my favorite recipes to make during the colder months. 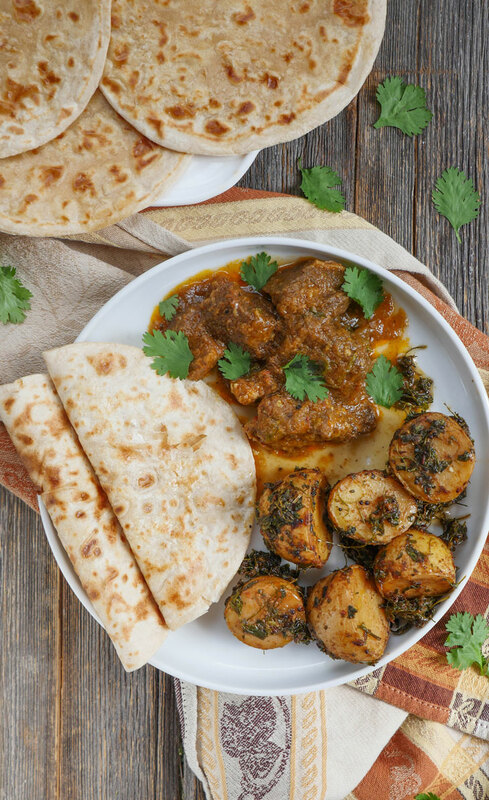 You can also serve this with these tangy spiced potatoes also made in an Instant Pot and Indian flatbread (pictured below: roti made with a rotimatic – you can read my rotimatic review here). Can’t wait to hear what you think of this! Press the sauté button on the Instant Pot, and add the oil and goat meat to the pot. Once the outside of the meat begins to brown, add the onion, garlic, ginger and spices. Stir-fry for 2-3 minutes. Pour in the diced tomatoes, water and potatoes if using. Secure the lid, close the pressure valve and cook for 45 minutes at high pressure. If you’d like for the dish to have a thicker consistency, press the sauté button to reduce or boil off extra liquid. Hi. Can I substitute lamb for the goat? Because to be honest, I don’t even know where to buy goat meat. 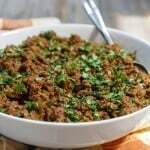 Would it be possible to substitute beef in this recipe? I haven’t been able to find goat meat. I haven’t tried this with beef but I don’t see why not 🙂 Let me know how you like it! Wow, you must have an Amazing Walmart! The Walmarts in my state have neither goat nor lamb! The only places around me that have it are Middle Eastern grocery stores. The quality is fantastic, though. Hi! I only recently learned about the instant pot and I have yet to add it to my list of kitchen gadgets. For now, I only have a slow cooker. I imagine this could be done that way too. If you have any pointers aside from sautéing prior to putting it in the slow cooker, please let me know. I honestly have never had goat that I liked, but I hope your recipe knocks it out of the park! Hi Bonnie! 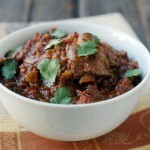 Yes, I actually have a slow cooker version of this recipe: myheartbeets.com/slow-cooker-goat-curry-indian/ I hope you love it! Yum. I’ll be trying this recipe tonight with lamb in my Instant Pot. 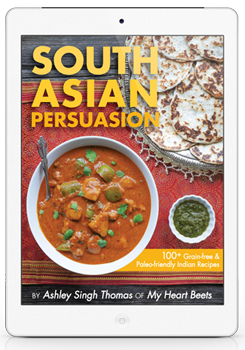 I wish that the were more Indian curry recipes for Instant Pot. I cannot wait to use this new kitchen gadget more often. Awesome! 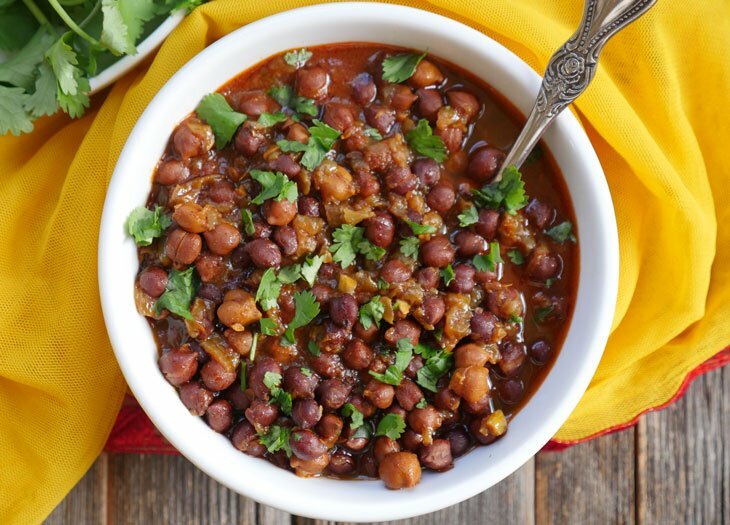 I’ll try to keep developing more Instant Pot Indian recipes 🙂 All slow cooker recipes are really easy to adapt. 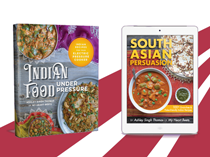 Hey Kseniya, there’s and Instant Pot for Indian Cooking Facebook group that has lots of Indian curry recipes too! The only problem is, sometimes there’s not the exact amount of ingredients needed etc… That is why I prefer this blog and it is actually where I learned about this fantastic website (myheartbeets!) Someone was praising it so i decided to check it out! Thanks My Heart Beets… I enjoy your humor as a fellow millenial Indian girl… and your recipes are awesome! I tried the butter chicken which came out great, and I can’t wait to try this one out too bc I’ve been hankering for some mutton. I’m assuming I can use this recipe with mutton too though instead of goat? 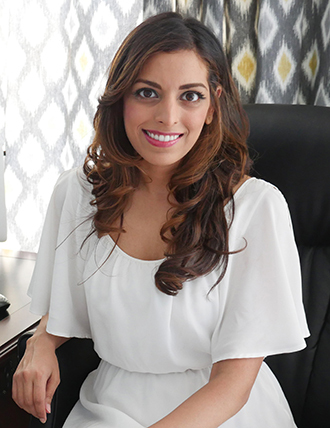 Priya, I’m so glad you found my blog through that group! It’s a great group 🙂 Can’t wait to hear what you think of this recipe – and yes mutton will work! Thanks for this recipe. 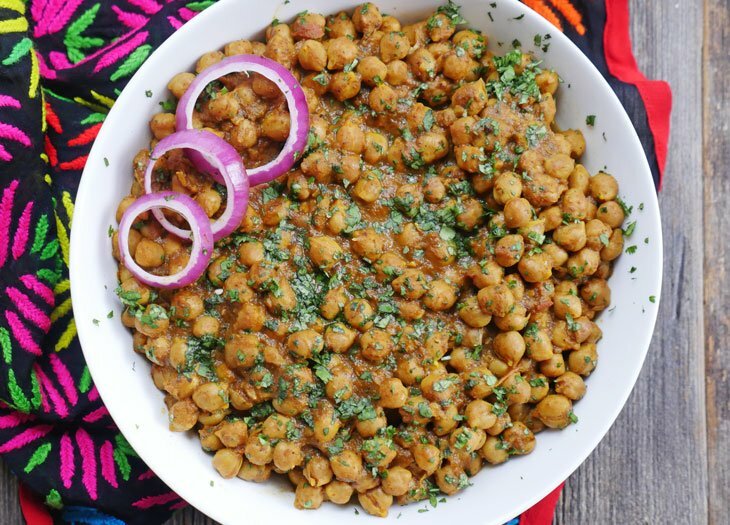 I have recently got an Instant Pot and can’t wait to cook this recipe. How do I turn this into goat biryani? M family loves goat biryanyi. I’ve made the regular version about three times. Once we actually had little goat chops and it was amazing! I tried buffalo but it was too dry. I like to use 1 lb. of lamb and 1 lb. of beef stew meat. I always add vegetables to my stew. The last time I made it I added green tops from, I think the daichon radish. That particular batch fermented with a kind of vinegary flavor, so sadly we tossed the leftovers. I wonder if this has ever happened to anyone else? I make stews all the time with veggies and have never had this happen before. Thoughts? We made this tonight and loved it! Just wondering though….do you really only do 1/2 lbs of potatoes? I had two russet potatoes and they weighed more than 1/2 lbs just the two of them. Any reason we couldn’t add more? Hi, this came out really nicely, more sauce than I imagined, was it 2 x 14 ounce cans or 14 ounce in total of Tomatoes? As it came out it gives a lot of servings for the cost, really nice. Glad to hear you liked it! The recipe calls for 2 cans of diced tomatoes, so 28 ounces total. If you want to reduce the sauce, just hit the “saute” button once it’s done cooking to boil off extra liquid. Such a fabulous recipe. We made it with lamb and a nighshade free version by, substituting grated 1.5 lbs butternut squash for the tomato + 1/4 C ACV; and parsnips for the potato. I also used ground spices instead of whole. 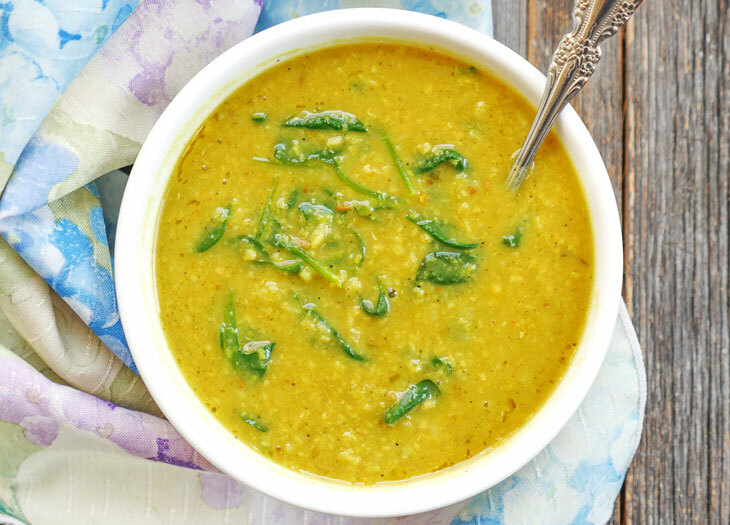 Thank you for the awesome recipe with easy to follow Instant Pot instructions! Hi, I just got an instant pot and this was the first meal i cooked in it. Im not sure if i did something wrong but it was more soupy than i expected. The flavor was great but i’m accustomed to Indian curries having a thicker consistency, did I do something wrong? Hi Andy! Meat releases water as it cooks and that water content can vary so that’s probably why – once the curry is done, remove the lid and press the “saute” button to reduce the liquid until it reaches the consistency you prefer. I hope that helps! Let me know how this works for you! Hi, made this today and while it taste great, the curry came out more like a stew than a curry. I followed the directions – any idea what i may have done wrong? Hi Adit, do you mean that it’s a thinner consistency than a curry? If that’s the case, just press the saute button once you remove the lid to reduce the liquid. Dumb question, but when do I put in the bay leaf? Hi Neil, that’s not a dumb question! Add it in with the ginger, garlic and spices. I just fixed the directions to include that information – sorry about that! How many people is this recipe for please? Hi, it should feed 4-5, depending on what else you serve. I added a squeeze of lemon to the end and it was delicious! Thanks for this amazing recipe! Farah, you can hit saute at the end to boil off extra liquid. Hope that helps! Just made this over the weekend. AMAZING!!! Just like everything else I have ever made from the website or the cookbooks. Thanx Ash. Awesome! We found goat meat at a Middle Eastern market, followed the recipe exactly except we used closer to 1 lb of Yukon gold potatoes and cooked for 1 hour under pressure. It smelled fantastic the whole time. After removing the lid after pressure cooking, it looked a bit watery, but the favor was perfect and we ate it straight away with basmati rice and flat bread. Would not change a thing. What an excellent recipe! So easy and so delicious. Honestly if you have a cookbook and this is ur full time job like be considerate for those that are just starting out. Why would you not add important details to the recipe like cook on manual? Wait 20ish minutes for natural release. I am just so frustrated after making this, it was such a dinner fail. Please add more details to ur recipes, I just know not to follow ur recipes from now on. I did not have a good experience. 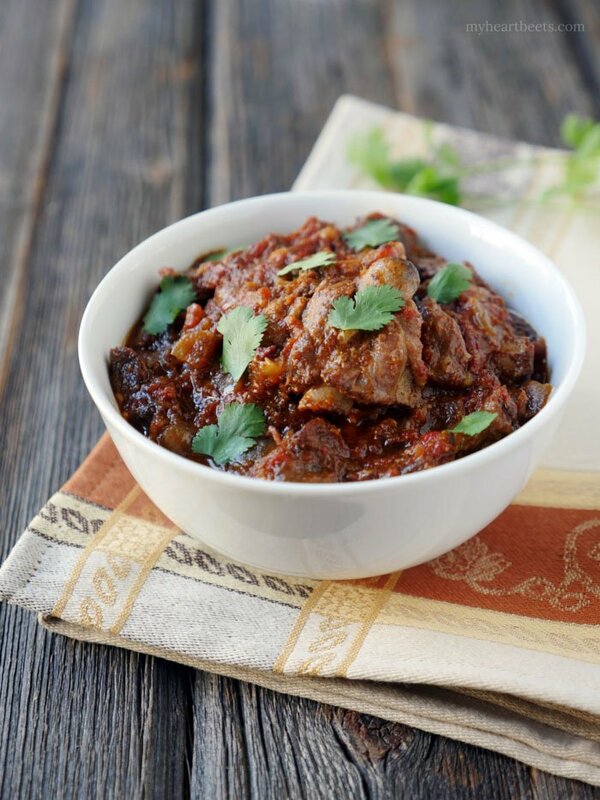 I chose this goat curry recipe over mumsicle kitchen based on these reviews under this recipe, people are giving it 5 stars and raving about it, but now it makes sense you only selectively approve comments to be shown that are raving. These comments like mine of course aren’t going to be featured on ur recipe on ur website, makes the whole thing such a misleading recipe. I don’t know how you ever will have any success in your business if your not honest with ur feedback. Made this tonight with lamb and it was delicious!! I used the sauté mode to reduce the amount of gravy-it was perfect! Sorry if this is an obvious question, but how do I manage the meat? Do I cut some pieces off the shoulder and just cook the pieces, do I just put the shoulder/leg in whole and cut the pieces later or do I cut the meat off the bone and also add the bone? Thanks. About what size should they be? Do you sauté the meat from frozen if I have frozen goat pieces? Hi Arza, once you’re done sautéing in step 1, then you’ll need to pressure cook the goat. So press the “manual” or “pressure cook” button on your IP and set the time to 45 minutes. Hope that helps! can you use frozen goat this way and brown the onion with the spices, then add the goat and the can of tomatoes? Hi! This looks fantastic! I wasn’t able to find bone in meat. Should I adjust the cooking time for chunks of meat without a bone? Or should it still cook for 45 minutes? The meat is a little fatty! So excited to try this! I planning to buy instant pot and debating between LUX and Duo Version (which has setting for Low and High pressure). 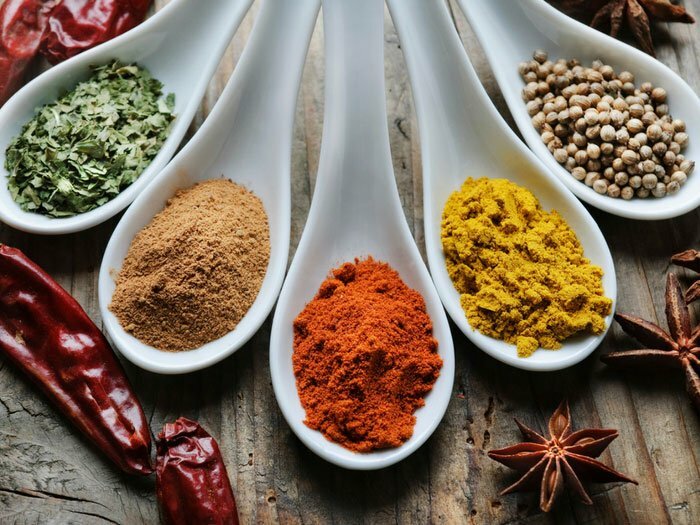 With Indian cooking /curries in mind – which one do you recommend ? do we need the one with pressure control ? Hi there – if I half the recipe (cooking for two) other than taking half the ingredients how long would the cooking time be instead? You can keep the cook time the same – it’ll reach pressure faster due to less contents in the pot but the cook time can stay the same. If you make half the recipe how long do you cook it for? I made this last week but felt the tomato portion was far too much for our liking. If we cut back the tomato portion how do we adjust the cook time and water content? 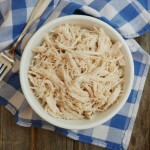 You tag this recipe as keto, but it is still a bit too carb heavy for me. 2 onions is about 20g carbs. 28 oz of diced tomatoes is another 28g carbs. With incidental carbs (assuming no potatoes) and 4 services, that gives this about 12g of net carbs per serving. What else could substitute for the sugary tomatoes? 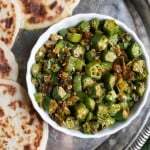 How would the recipe be adjusted for that or using onion powder instead of onion? Hi Ethan, it is under the low carb/keto category – since everyone has different carb limits please adjust the servings according to your diet. 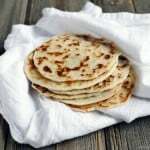 You can try using onion powder but I haven’t tried it this way – if I do, I will be sure to update the recipe. Thanks for the feedback! Hi Ashley. Do we drain the to tomatoes before using? Won’t the potatoes get super mushy if pressure cooked for 45 minutes? They will definitely be soft, you can leave them whole too if you’d like. Or you can wait until it’s done then add chopped potatoes and pressure cook for 5 more mins. I cook my goat meat in a regular pressure cooker for no more than 15-20 minutes. Will cooking them for 45 minutes in the IP over-cook the meat? 45 mins always works for me, but you can try it out for less time if you’d like – and then always add more time if you decide it needs to be cooked further. Hope that helps! Tried it… It was great. Now I’m making double the portion. Does the pressure cook time change? Alex, that’s great to hear! You can leave the cook time the same – it’ll take longer to reach pressure and that should be enough. If not though you can always just add another 5-10 mins if it’s not done. Should drain the tomato’s? Can you give a more accurate amount of ginger? Maybe ounces or grams? Would this work with lamb shanks? Would the duration for pressure cooking change? (Thinking 4 lamb shanks). Thanks! I’ve done shanks in the instant pot and while the time varies by weight/diameter, I’ve never done them for as little as 45 minutes. Usually goat stew meat (or any stew meat) is chopped into pieces much less thick than a lamb shank even at mid-shank, let alone the thick part. Plus you have a lot more connective tissue to soften in shanks. Most often I have mine under pressure for about 90 minutes. But I’m almost afraid to recommend one try that – cooking too long makes for a mushy mess. Maybe try 75, let sit 10, blow off steam and check. You can always put it back up to pressure another 15 or 20 if you like. It’ll be slow doing it this way, but once you get a feel for how long it takes in your pot you won’t have to do it iteratively after that. Do you have to use canned tomatoes? How long to wait natural pressure release before releasing it manually to open the lid? 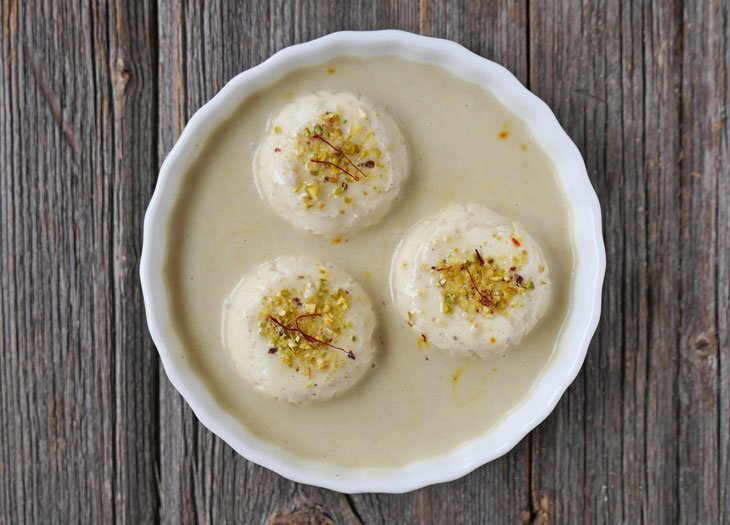 I have always liked your recipes which are so simple and yet taste sooo goood ! Thanks for sharing the recipes . I have a quick question – I really wanted to know that why are we given canned tomato as ingredients ( even in butter chicken ) and not fresh . Is it possible for you to provide substitutes . I avoid using canned and frozen as much as I can . I made this and it was GOOD! I was sceptical as it was so very easy to prepare but I have been really impressed by the outcome. I only included 1 tin of tomatoes as it was verging on too much sauce hence the 4 stars instead of 5. Thank you! Hi Ashley, thank you for posting this recipe. I’m getting ready to try it tonight. I’m only writing now because I noticed many commenters who don’t know where to find goat meat. Besides the Halal/Middle Eastern stores mentioned by some commenters, many Asian markets (for example, “H-Mart” in my area and others) carry goat meat as well. OKAY, reporting back after having made the recipe. I did not add potatoes but did toss in some trimmed green beans. Great flavor, Ashley. Thanks much again for this recipe.